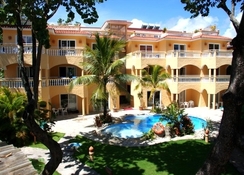 Villa Taina Hotel is a three-star hotel suitable for couples and families. Guests can have fun in the outdoor swimming pool, sun bathing area and the restaurant. The rooms at the hotel are immaculately decorated to lure all the guests and they also offer spectacular views of the pool and the lush green surrounding area. It’s location and personalised environment provide for a fantastic experience. 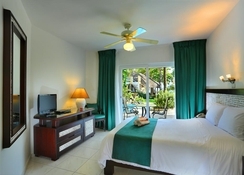 The hotel is close to several shopping malls, tourist attractions, banks, etc. The hotel also features a lovely restaurant serving local and international cuisines. There are several water-sport activity centres close to the hotel. 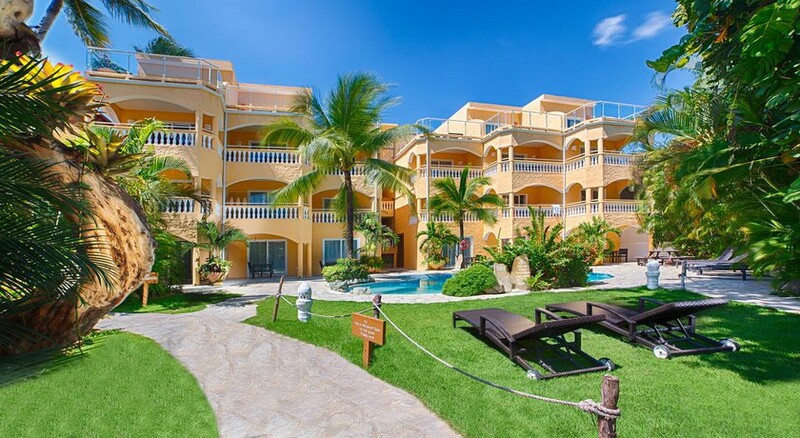 Villa Taina Hotel is situated perfectly to uncover and enjoy DR’s nightlife, restaurants, bars, places of interest and much more. Furthermore, the hotel is close to some lovely beaches, including the Cabarete Beach. The Cibao International Airport is 67.8km from the property. The rooms at the Villa Taina Hotel are absolutely stunning offering magnificent views of the pool, trees, sun, sand and the sea. 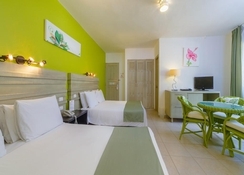 They are categorised as Comfort Oceanside Premium, Comfort Oceanside, Comfort Studio, Comfort Apartment, Comfort Room, Standard Oceanside and Standard Room. All the rooms come with a balcony, safe, air conditioning, complementary toiletries, microwave, coffee maker, fridge, hairdryer, telephone and television. Guests can also have their meals delivered to their rooms. Dominican Republic is a vast ocean of aromas and flavours, which has influences from different corners of the world. The hotel’s restaurants serve a wide range of cuisines alongside fresh fruits and sea food. The hotel houses Serenade Restaurant – Bar & Lounge, where you can explore local and international delicacies. All the dishes are prepared leveraging healthy ingredients. At the Villa Taina Hotel, sun and fun accompany you throughout the day with water-sport facilities such as sailing, windsurfing, jet skiing, whirlpool bath and much more. Guests can stay in shape by utilizing the state-of-the-art gym with expert trainers. Take a relaxing swimming at the hotel’s outdoor swimming pool, where you will also find sun loungers sparkled across the pool. Other activities include kayak, volleyball and yoga. Golf lovers can also have a nice time, as there are several golf courses within the vicinity to the hotel.